As a homeowner, there are plenty of things you do to maintain your home, and to improve it, every year. From siding to landscaping, and of course, fencing, there are plenty of things that impact the curb appeal and property value of your home. At Ware Fencing, our mission is to help our clients make their fencing visions become a reality, with affordable and high-quality fence repair. Whenever you need residential fence installation in Crowley and Fort Worth, TX or any other fence repair or fence replacement services, Ware Fencing is the fence company you can count on. To get started, or to learn more, give us a call today at 817-948-4503 and speak to one of our friendly associates! From Traditional To Modern Fence Choices, We Have The Options You’re Looking For. There are many different types of residential fence installation options for you to choose from depending on your needs. If you are looking for privacy, we may recommend a wooden fence for an affordable and traditional approach. For more security, we have specialized security fences, as well as wrought iron fences. Our security fences are designed to offer some of the best protection in the fencing industry, and wrought iron has been a tried and true source of fencing security for decades. For aesthetic and functional uses, you may be interested in our bamboo or aluminum fence options! Aluminum offers many great benefits in terms of affordability and resiliency, and bamboo fences are a unique and functional suburban accent. Residential fences play a lot of roles in the value and the appearance of a home. The type of fence installation you choose should be a reflection of your own personal style, as well as a functional addition to your life. Whether your aim is to keep intruders out, or to keep children and pets safely inside, Ware Fencing can help you choose the ideal fence for your home. At Ware Fencing, we pride ourselves in providing our clients with fences made with intensive craftsmanship, as well as high-quality materials. While anyone can just throw up a fence, it takes skill and experience to put up a quality fence that is worth more than the money spent on it. Our professional fence installations are built to outlast and out perform our competitors’ fences, and our commitment to customer service is just as competitive. When you need high quality, affordable residential fence installation in Crowley and Fort Worth, TX, you can count on the experts at Ware Fencing. Give us a call today at 817-948-4503 to learn more about our services. We offer every fence service you can think of, from fence repairs to replacements. 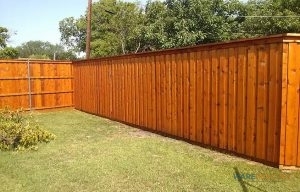 Wood Fences Wood fences are a traditional and affordable way to enclose your home’s yard. Iron Fences In use for centuries, wrought iron fences are elegant, as well as incredibly secure. Aluminum Fences Aluminum fences are lightweight, affordable, and perfect for creating yard and pool safety fences. Chain Link Fences For a permanent or temporary solution, you can count on an affordable chain link fence. Pool Safety Fences Pool safety fences keep your pool 80% safer than if you leave it un-fenced. Security Fences Security fences are a great way to protect your home from unwanted guests. 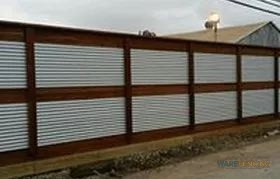 Fence Design We offer a wide variety of custom designs that allow you to get your ideal fence solution.